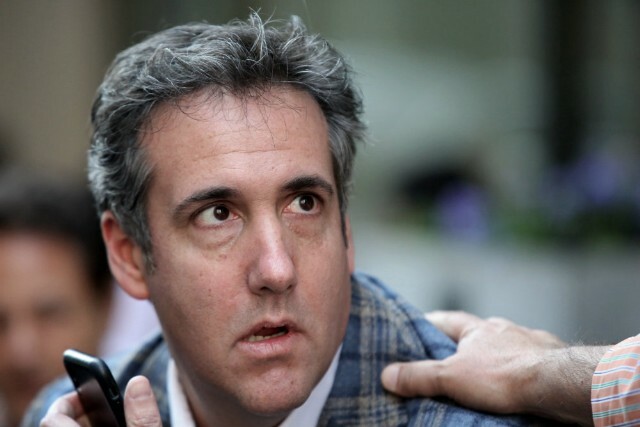 Donald Trump's personal attorney Michael Cohen has signaled to friends that he is "willing to give" investigators information on the President if that's what they are looking for, and is planning on hiring a new lawyer to handle a possible indictment from federal prosecutors. He also said, "I haven't talked to him in a long time. Trump's narcissism may get him into big trouble this time. If Cohen spills, it won't help Trump to pardon him after the fact. He should be very, very careful. But that's not him. The White House didn’t respond to a request for comment, and there has been no indication Mr. Trump is planning to pay for his former longtime lawyer’s legal fees. The Trump campaign had been footing the bill for some of Mr. Cohen’s legal expenses, paying nearly $230,000 to McDermott, Will & Emery LLP between October 2017 and January 2018, according to Federal Election Commission records and a person familiar with the matter. But those payments helped cover Mr. Cohen’s legal representation in the separate Russia investigation, not in the probe of his business dealings. The money issue is serious for Cohen. He obviously can't take money from Russians anymore. Trump won't pay. Who's left to pick up the tab for him?